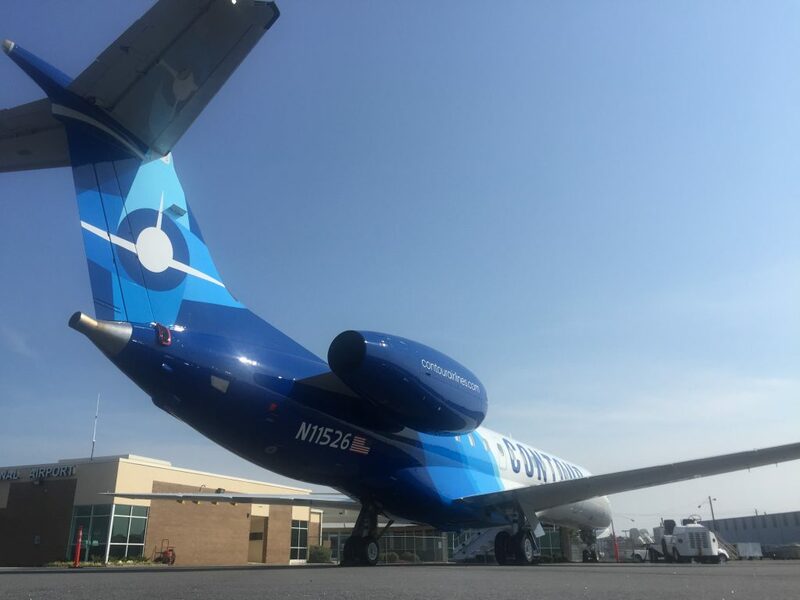 In the month of June, more passengers than previous months used Middle Georgia Regional Airport (MCN) to fly to Baltimore Washington International Airport (BWI) on Contour Airlines or to Biloxi on the weekend charter flight with Sun Country Air. More than 3,000 passengers came through the airport (1,521 boarding at MCN), which was an average of 89% of load capacity and a 7% increase from May. With June’s numbers included, 13,700 people have come through MCN (with 6,917 boarding here) since January. This time last year, only 246 came through MCN in June (123 boarding here), and only 1,310 had used passenger service from January – June 2017. The number of passengers boarding at MCN is very important to the future of the airport because it can determine the amount of federal funds it receives. MCN is part of the FAA’s Airport Improvement Program and currently is able to access $150,000 per year for improvements to infrastructure like runways, taxiways, and airfield lights. If MCN is able to reach 10,000 enplanements in a year, they will be able to access one million dollars of federal funds. Feedback from passengers at the airport and through the airline has been very positive. While there have been some complaints, but most have been tied with issues outside of the airport’s or airline’s control, such as weather here or at the destination airport. According to D’Leon, though, what has set MCN and Contour apart has been in the response to those issues; Contour works with passengers to make sure they’re comfortable, informed, and fed. The benefits of flights from MCN isn’t just benefitting people living in and around Middle Georgia. There are several businesses at the airport that are also doing better due to the increased foot traffic. Car rentals have increased, business at the café has gone up, and more fuel is being sold. According to a study done in YEAR, there is a market and demand for passenger service in Middle Georgia. There are more than one million passengers in MCN’s catchment area using Atlanta’s airport, with the top five destinations being: New York/Newark, Washington/Baltimore, Chicago, South Florida, and Las Vegas. To view the full study, click here.